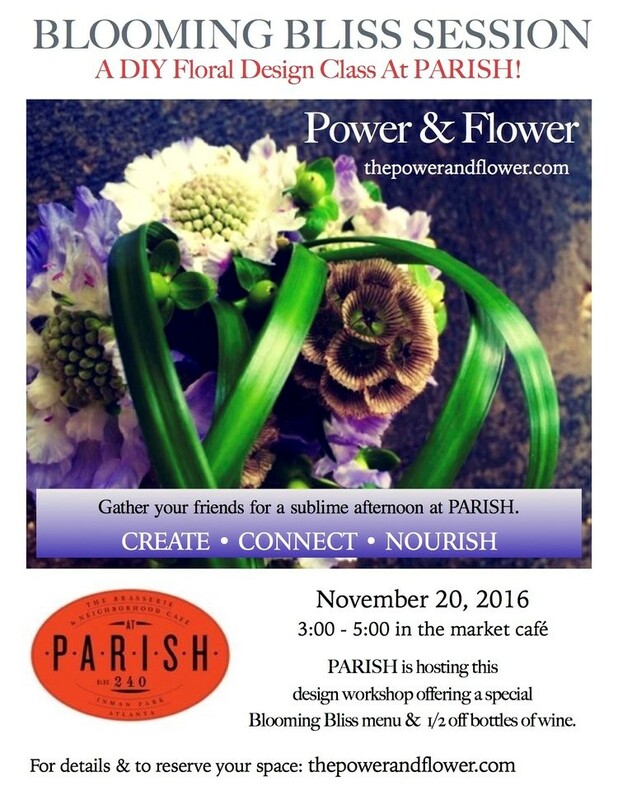 Join Parish for a relaxing Sunday evening creating your very own fall flower arrangements just in time for Thanksgiving. During the workshop, Laura our floral design expert will help guide you through flower selection, foliage, color, texture, and form! Space is limited. Please, reserve early by purchasing your tickets here. Cost is $40 or $65 depending on the size of your floral choice. Cost includes, flowers, vase, and tools to use during the event. Full dinner menu and half off bottles of wine are available for purchase.